Your team was exploring the galaxy looking for alternate source of energies, until the radar detected something on a unknown planet. LV154, mamacato, ReidDC and 11 others like this. Played it. It reminded me a bit of Hero Core, which is a good thing. I liked how there was no music in the beginning rabbit hole area, then when the music came in, it had that "introductory" sound. Great use of music there, and the rain and wind sounds and visuals all come together to make a great opening. The main character could use some animation of some kind. Perhaps a little hopping? And maybe add some other mechanic(s) to give the player a reason to destroy all enemies on a screen. I found myself running past most of them. Maybe health or other drops and/or having to kill all enemies to open a door, etc. It kept my interest. I wouldn't say I absolutely love it, but it's worth playing, imo. Nice work. Yes, I thought about adding some animation to the character... the thing is that he's literally flying right now! So making him hop would look weird, but still... I'm considering it! Yes, you don't necessarily have to kill all enemies... but you gave me a good idea right there, hear this: For every zone you clear (that's it, you kill everyone), you get a point. Then, you go to a trader and switch those points for health points, so you will be able to have 120hp instead of 100hp. Ah, I didn't realize that's what was going on. In that case, maybe you could do some sort of helicopter motion with the ears? Nice work so far, keep it up, and good luck (have fun)! Haha! already tried that in the past, didn't look so well. Heeyy! I'm currently working on a new area, check out it's music!! Bentley, FROGANUS and nacho_chicken like this. Just watched the video. This very much reminds me of Daniel Remar's Hero series in very good ways. 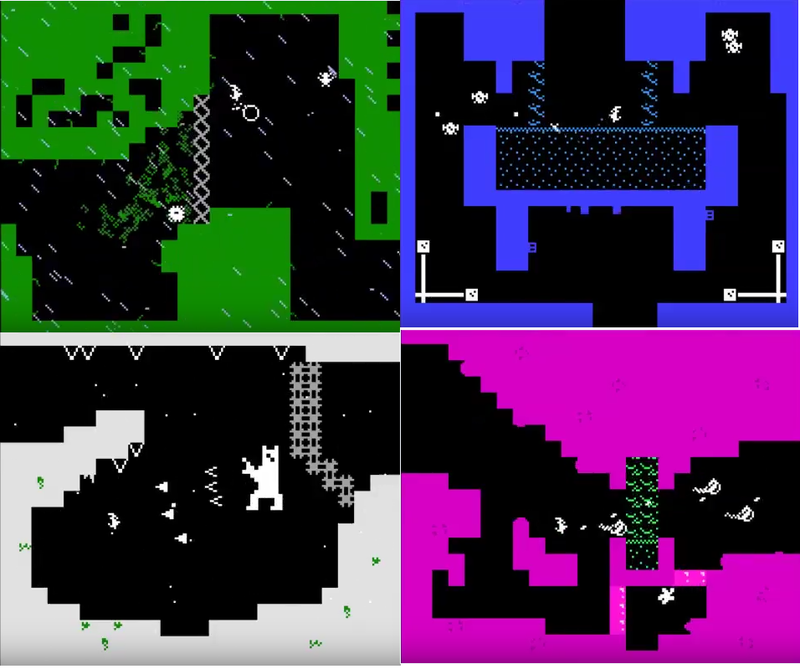 It has an Atari-esque aesthetic without venturing too far into "incomprehensible blobs of pixels" territory. I shall await further updates and its completion! Yes!! This game is a direct inspiration of mostly "An Untitled Story" and "Hero Core". There's a DEMO in the first post if you are interested. If you had a download available somewhere that isn't MediaFire, I'd love to try it! They had a bunch of malicious-looking pop-ups and ads a while back and links to MediaFire were/are even banned from Steam. I don't trust them for my uploads or anyone else's. I've had a much better experience with Dropbox, so try them if you're looking for a replacement. Just finished playing this, didn't get too far (just got the read lasers turned off), but it was really enjoyable. I look forward to this completed game as well. The low framerate negatively impacts the action gameplay. Things feel artificially more difficult to dodge, and movement feels choppy. There was one message I felt was insultingly "handholdy". What it said was along the lines of "There's a save carrot to the right!" 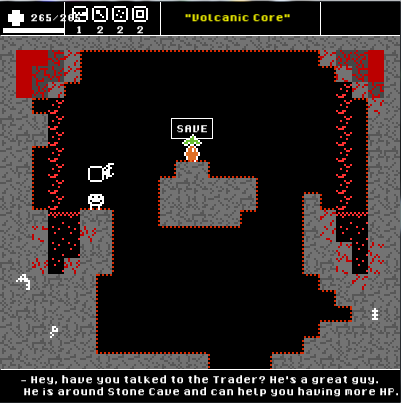 Especially in adventure-style games, you don't want to railroad your players. I couldn't tell if hitting the green button was the end of the demo. Up until then, there was no real backtracking. If you suddenly introduced adventure elements at that point, it would be extremely jarring. Alt-F4 doesn't end the game. I know having F4 toggle fullscreen is tempting for users of older GM versions, but Alt-Enter is a common Windows shortcut that already works. Having it toggleable through a menu and saving/loading the player's preference fixes this issue. There was a great variety of enemies. 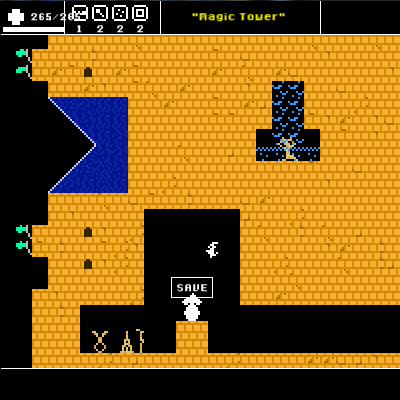 I especially liked some of the harder foes like the one that jumps off walls. I can see progression becoming enjoyably challenging in later stages. The environments looked beautiful. The rain effect in the opening stages looked fantastic. Despite most zones being just solid colors, I can see the level of detail used in crafting the world. Graphics are good for this style. Enemies and bullets were easily distinguishable from other objects. Use of colors was good. Nothing extraordinarily saturated. I can see a good game waiting to be finished. Keep up the good work! How do you know the framerate?? I mean, why do you think it has lower framerate? Yep, in the beginning there's some of this for new players. Mmhmm, so you didn't kill the first boss and get the first stat?? In the other hand, you don't necessarily have to backtrack, you can move between save points. The end of the demo is a message that literally says "this is the end of demo"
I just beat the boss and finished the demo! The framerate/game speed is very obviously around 30 due to how the vines on the wall near the beginning are animated. However, because of how the player, most enemies, and bullets move - multiple pixels per step - it feels worse than 30. There is a big difference between telling a player "touching this saves your game" and "go to the right so you can save your game because there's a save point over there". If you make an adventure game, you are directly undercutting the adventure, thereby making the game worse. I understand holding new players' hands a bit, but this occurs potentially 30+ minutes into the game, after the player has become familiar with the controls and gameplay, and after several rooms where you can take multiple paths. Backtracking means going to places where you've been before. It's not inherently a bad thing. Whether you have to walk to previous places or are able to warp there, it's still backtracking. It also doesn't help that the map doesn't indicate if there's an exit you haven't gone to. - This is about the map thing I mentioned earlier. You could solve that by doing what most Metroidvania games do and show where exits are even if you haven't gone through them. This simple change makes players infinitely less liable to scour every single corner of the map if they get lost. 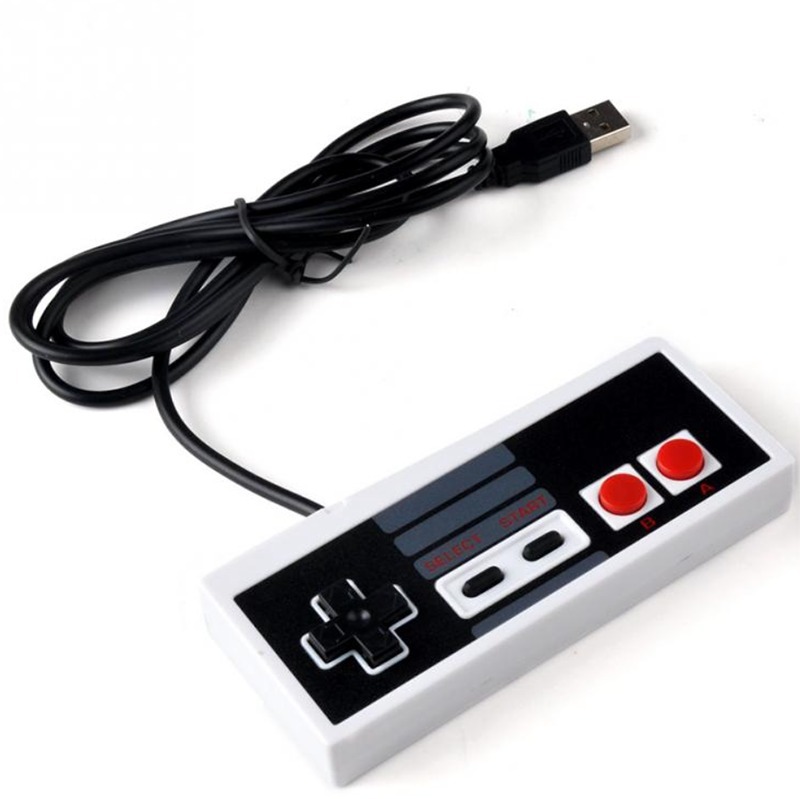 - It's not immediately obvious what you can use power-ups on. A common way of dealing with this is by trapping the player in a small room after they get the power-up, and the only way out is to use it. - There's no visible way of knowing whether or not you can use your power. Perhaps you can make the icon dark until it is recharged? I was humming some of the songs from the game while writing this out. They can get to be real earworms in the best possible way. The boss was a great example of a first boss. Large, slow, easily dodged attacks, and a recognizable pattern. I also loved the anti-cheese in the form of it doing 50%+ damage when I ran into it point-blank. I look forward to fighting more bosses in the future! Hey! You completed the demo!! hehe, amazing! The framerate is actually at 20, I did that to experiment. I'm not sure if I'm going to change it, I will have to adjust everything, humm. Mmhm, I see. Thanks for the suggestion! really liked that suggestion, taking note of it! Oh I already did that! It's a long bar marking how long you have to wait till you can do the dash again. It's not on the beta BUT you can see it on the youtube video. That's great that you liked the music, looks like 95% of the people that play this game tell me the music standout. Thanks for your suggestion, I will add you to the credits! I'm happy to announce that the game already has more than 60 types of enemies! This is pretty crazy haha. They all have different behaviours so there's enough variety! As an additional, I added the recommendation of nacho_chicken but with a slight modification. Instead of showing all exits, I show possible areas that you could explore that are contiguous to the areas you already explored. In other words, every time you visit a new room, the game tells you if there are rooms adjacent horizontally or vertically to it. This is better than showing possible exits because if there are secret rooms I don't want the players to found these easily, but in the other hand, I'm letting them note that there's SOMETHING around there, just not giving details on how to go there! I love your idea with the map! You put a spin on a concept and made it your own. As far as 20 FPS, that's a bad decision. Even more casual gamers who couldn't care less about 30FPS vs 60FPS will find that to feel choppy. Even film runs at a higher framerate - 24FPS. The only games I can think of that run at a target framerate of 20FPS are The Legend of Zelda: Ocarina of Time and Majora's Mask on the N64, and neither of those have aged well graphically. Ideally, you want to support arbitrary framerates by tying game logic to delta_time as opposed to framerate, but that takes quite a bit of work. If you're going to hard-code numbers to speed, your best option would be to do 60FPS, since it gives smoother movement and most displays are 60Hz. OK, I will look further into it, I'm just a bit concerned because the game is already hardcoded into 20fps. However, I will make a quick test as soon as I can to see how much of a difference there is when using 30fps. As an additional, here goes a peek into one of the new areas. My friends, I just made a poll because I need your opinion. It's extremely important that you fill it. You can also comment here your thoughts. The question of the poll is "do you want hints on where to go next?" Remember, this is YOUR game after all, so your opinion matters and matters A LOT. Thanks for voting! Based on your opinions: there won't be hints! However, there is going to be just ONE hint in the entire game, which will be the "main objetive". Right now I'm working on one of the last areas of the game, can you guess which type of environment is it?? I love the music! Can I ask what tools did you use to make it? Retro and looks fun. You have my blessing. What are your inspirations for this game? I haven't seen anything like this before! Thanks! I use Propellerhead Reason, and the instrument is a Patch called Thor. I do all the sounds and music with that synth. Thanks! I want to release it as soon as possible. Oh my main inspirations were An Untitled Story and Hero Core. In fact, I could say that if you combine those two games (the mechanics from one and the colors from the other) you get Rabbit's Quest! If you liked any of those games, you will love playing this one. As you can see, I use those mechanical looking things to build the scenery because it's easier to discern them. vanbear and Micah_DS like this. Oh interesting! I haven't heard of either of those games, but I definitely see the inspiration now! I love the retro arcade style. I didn't realize you created the music & sound too! Is this a one-man show? Yes! one-man show! lots of work to do! hehe. It's fun though, I enjoy coding, making the music and spriting. I finally decided the plot of the game. Originally it was going to be about a rabbit whose grandpa gem is stolen... and that gem was super important and blahblah. But I don't think that's interesting enough. So I've spent the last couple months thinking of another plot, something entertaining! And mysterious. Today while I was walking on the street I had the thought that would finally let me build a fantastic plot for the game. I just need to refine some details. Right now I'm working on the last 2 areas of the game, the final boss and some other things. As soon as I finish that the only thing left is going to be bug fixing and polishing. The game is going to be ready in nearly 2 months. Wow, so soon? That's great; keep up the hard work! I've been checking in on this game project every once in a while, but usually in lurk mode. It has a certain charm to it that I really like. I hope the rest of the development goes nicely. After a long break of not programming this game, I decided to get back to it! You will see weekly updates and images. to motivate me and finish it faster. This last week I have fixed a lot of bugs and added new small features. For next week update I plan to redesign some of the areas, because as you can see, these two images have well defined solids, while previous levels (Grassland, Electric City) are more simplistic and there's a big contrast between those. Fixed a couple of bugs, added new features. The game is getting close to completion. I guess 2-3 months more... and it will be done! Hello everyone! This week was spent fixing several bugs and adding small features. I'm also working on the area previous to the final boss =). After that... I have to keep working on the secrets! There will be 2 endings in this game. Sadly, I have no images to show you today =(, because they would be spoilers. Another week spent fixing several bugs and adding features. Today I played the game till the third boss and found a lot of small bugs that I should correct. Next week I plan to work on the music from the last area, fixing some bugs... and I'll see what more. Let me show you an image without context. There's still A LOT to do, specially bugs and minor corrections. Aaand another week goes away! This week was spent working on more secret areas and music. 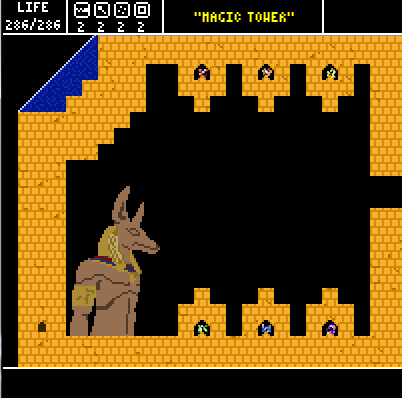 Also added a new secret boss that has a simple behaviour but nonetheless it's still hard to kill! I'm so eager to finish this game but there's still a lot to do!! + Finished the water boss, it took me MONTHS to decide what I'm going to put there, I'm satisfied with the result, it's something totally unexpected. Also just from us playing your game, we've entered you into our giveaway we are just starting to do. We are playing 6 Game Maker games a week and then giving away a FREE Game Maker Studio game published on Steam (Eg Hotline Miami, Hyper Light Drfiter, etc) to a developer of one of the games we play! You are the 4th out of 6 games to be played this week! + I'm also playing the game trying to get all the secret stuff before reaching a certain part... and good lord is it difficult... that's a good sign however. For next week I want to code the final boss and continue fixing bugs! I almost forget to post here!! + Fixed some bugs, as always! I want to finish this game as soon as possible but damn it's impossible, there's a lot of things to do! I would say this game is at 80%... It's very close to completion, but as I said... I have 8 pages of things I need to add/fix. oh hey! its this game! I loved every detail and mechanics in it! Also, I really like how you designed the levels, music and effects. I'll keep an eye for more updates! I'm working hard on it so you people can enjoy it! + managed to complete the final boss! + Game is at 85%, there's still some work to do, but we are almost finished! + Worked on the secret area, it's going to feature around 8 totally new enemies with crazy attack patterns... I already got 4 of them. Here´s the image I promised you last time. What's so special about that area? this is the area you immediately access after killing the third boss... and from this point on... you get access to A LOT of new areas. This is literally the moment where you decide if you want to get super strong... or just keep playing normal and get after the final areas. I'm working on something big, I don't plan to show any images until it's ready. I think I can safely say that the game will be out on January 2019. It's going to be completed weeks before that, but I don't want to run like a maniac and release a game with bugs or problems. The following updates are going to be a bit boring haha, in fact, it might be better if I stop posting weekly updates and just work on the next big update for you. So, let me tell you this... be ready because in November... a big update is coming for you . Japster and Bluetail7 like this.